The Skyline combines contrasting materials creating a shimmering abstract imagery of a metropolitan city Skyline. The towering tapered crystals peeks stand tall with a chrome plain feature prism-cuts creating elegant refractions of light. The upper and lower disks feature warm solid wood which creates contrast but also lends the fixture a sense of earthiness, quality, and visual luxury. With the Lyon Collection, Globe Electric combines a geometric frame with a curved interior design and exposed bulbs to create a beautiful contemporary feel that complements all dicor. 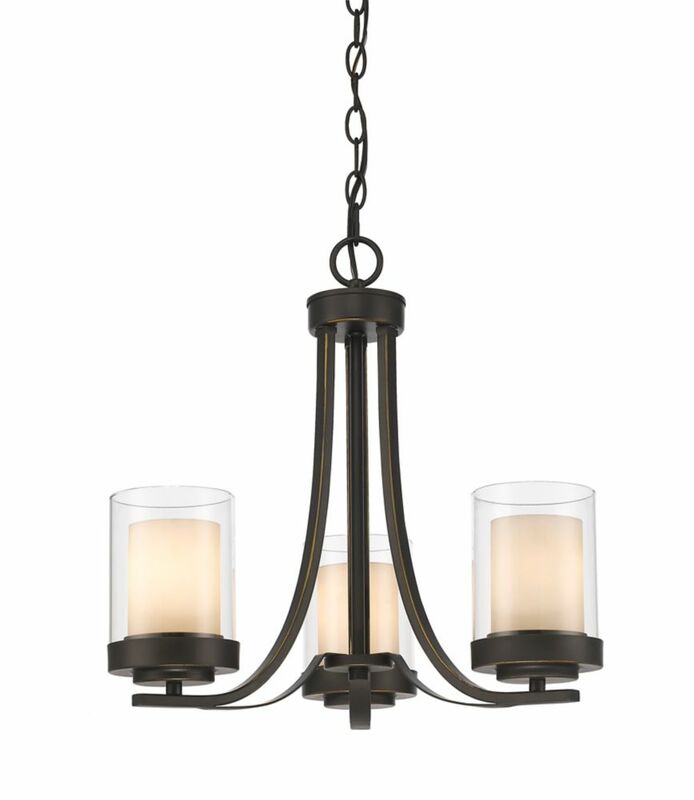 The 3-light chandelier has a brushed steel finish that mutes the light in just the right way. The three exposed sockets house the beautiful bulb of your choice to devise a unique chandelier with each purchase. The Globe Electric vintage Edison T-Shape tube bulb is recommended to complete the look but you can choose one of our many vintage Edison designer bulbs to create a design that is truly your own. Includes all mounting hardware for quick and easy installation and requires three E26/medium base 60-watt bulbs (sold separately). 3-Light Olde Bronze Chandelier with Clear and Matte Opal Glass - 16 inch This chandelier will update your home with its eye-catching design. Featuring an olde bronze finish and clear outside; matte opal inside shade(s), this fixture will accommodate a variety of dicor styles. With its easy installation and low upkeep requirements, this chandelier will not disappoint.